The Forever Young And Trim Staff is at the forefront of Fat Transfer cosmetic procedure that can restore your youthful appearance using your own fat! Simply, put, Fat Transfer takes unwanted fat from one area and moves it to another area that needs it. This revolutionary process can be used Many areas of your body and can used too treat your face, breasts, and buttocks. Since the process is completed with your own fat, there is no chance of allergic reaction or rejection of the fat. This procedure is performed by a cosmetic surgeon and requires little down time. The fat is removed from unwanted areas. The fat is cleaned and injected into the areas pre-determined by the patient. It takes only minutes to complete the procedure and patients can return to normal activities almost immediately. 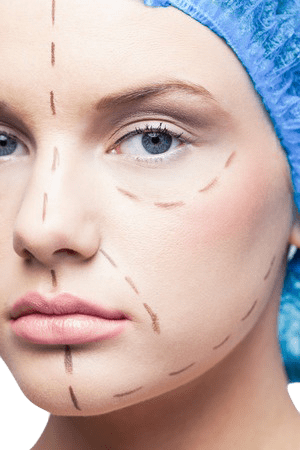 It is important that this procedure is completed by a cosmetic surgeon who has had specialized training. Today in our society, looking your best has never been more important. Having a youthful healthy appearance starts with how your face looks. It’s the first thing people see and almost impossible to cover up. When we are born, our face starts out as a grape, but with aging, sun damage and hereditary our face starts to turn in to a raisin. Because of great advances in medicine and technology today, we are now able to give you a greater and healthier option than fillers and injections! Make way for the newest way to look younger and healthier! Fat Transfer/Grafting is easier, safer and in the long run, much cheaper than any filler being offered today. Because we are using your own, natural fat, there is no chance of allergic reaction because your body will accept it, and in most cases, it is a PERMANENT result! Because your own fat and stem cells are being transferred to a different part of your body, Once the stem cells are transferred to your face, the fat cells will flourish and create a long lasting, natural appearance. This procedure doesn’t just provide a filling effect, but creates a rejuvenative effect on the skin. When you transfer fat to your face, you may use a range of areas from your body such as abdomen, hips, thighs and more. Fat generally carries little to no risks because it is you own tissue and will not be rejected by your body or trigger an allergic reaction as can occur with a foreign substance. This procedure is the safest and healthiest waypossible to make you look younger and healthier. This procedure is done with a small syringe with no cutting whatsoever. There is no down time, no anesthesia, and in less than an hour, you may return back to your daily activities. Fat transfer patients notice that natural fat tends to be softer, allowing for improved shaping and contouring and a smoother, more natural look, unlike fillers and injections which can look harsh on your face. Most of us would welcome a more youthful appearance and facial rejuvenation that can be accomplished with fat transfer. It can have the effect of a face lift without the incisions and recovery time. Also, using fat from your own body eliminates the possibility of rejection or allergic reaction.